By buying this product you can collect up to 44 loyalty points. Your cart will total 44 points that can be converted into a voucher of £ 0.44. What is the Supersprox-stealth about? Supersprox-stealth is about longer life, without compromising weight. Primary goal, to last 3 times longer than aluminum and remain as light as possible. No concession, it's performance and function first and last. OK, this is no contest! 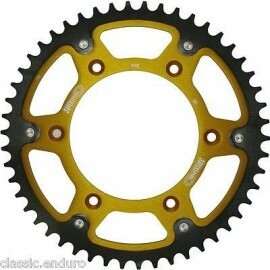 Try 20,000 miles on a Hayabusa with an aluminium sprocket or the whole Dakar rally on one sprocket. What about the Baja 1000? These are extremes and factory teams actually buy Supersprox-stealth for these gruelling challenges. Don’t waste your money on aluminium, invest in Supersprox-stealth. 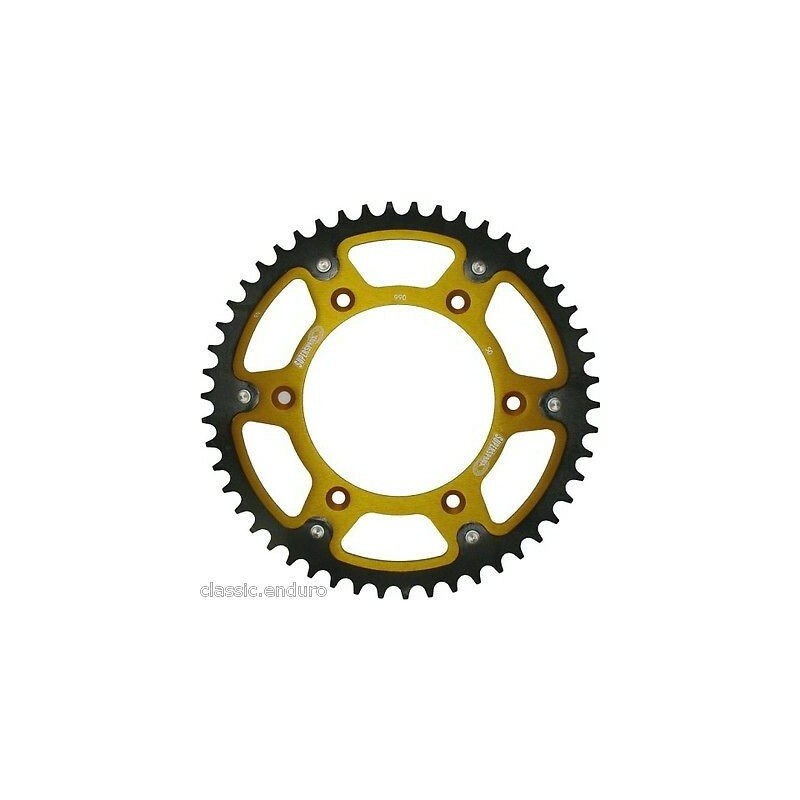 Will a steel sprocket damage my chain? Kind of stupid sounding question, but there’s a lot of misinformation out there. 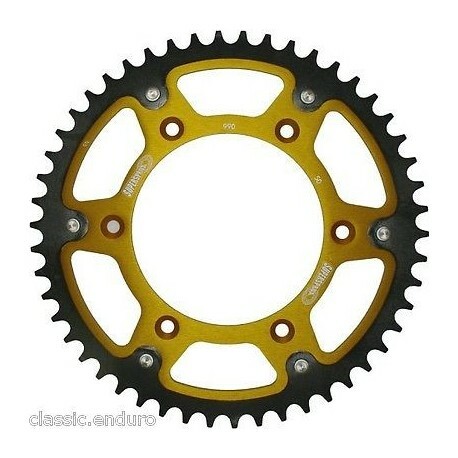 So, think about bearings for example. They`re steel on steel and that works pretty well. Steel on steel is the best combination. So when someone tells you different, you should ask if they only sell aluminium. We guarantee our sprockets. If they don’t do what we claim, you can have your money back. Are the rivets strong enough? 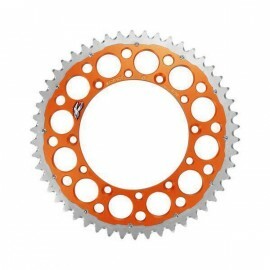 There is no doubt, riveting is the only possibility for fixing such a high performance sprocket. We know how to use this technology, forging rivets into the sprockets. We have never had one single rivet break since starting to produce these sprockets. That’s 1,260,000 rivets. Its perfect for any bike up to 1400 cc. Do you have a powerful 4 stroke or performance street bike? Covering high mileage or road racing, then this is your best option. 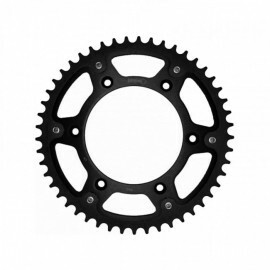 A single sprocket can last more than 20,000 miles (See maintenance instructions). Whatever your bike, if you want peace of mind and the knowledge that you have the best of the best, then choose Supersprox-stealth.